Onyx Sinks vary in color and veining. No two sinks will be alike. 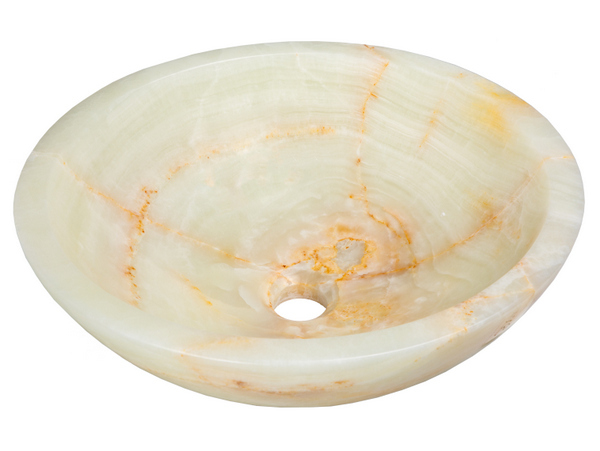 This beautiful stone vessel sink made of white onyx is made of 1" thick material, to make a bold statement. White onyx veining can vary in tone/color from sink to sink adding to its natural beauty. This stone sink features a polished finish.